Be dazzled as you come see this STUNNING custom built, all brick ranch home! Walk into this lavish space with an open floor plan and tons of natural light. Arches, vaulted triple-tray ceilings, beautiful flooring, fresh paint, light fixtures, intercom system, and granite counter tops throughout the home, including the fireplace! The stunning kitchen, complete with custom cabinetry, glass tile backsplash, breakfast area, huge pantry, and stainless appliances is perfect. Formal dining area is decorated with gorgeous wainscoting. Huge master suite is perfect with double vanities, and separate tub and shower. You will love the grand, master designer, walk-in closet system, complete with built in shoe rack! Two more large bedrooms and full bath finish the main level. Downstairs you have a finished walk-out basement complete with huge family room, work-out room, full bath, extra bedroom, tons of storage, and a storm cellar. Enjoy movie night with a large theater room with a wet bar for entertaining. Enjoy the private wooded lot, landscaped with fruit trees, in a fantastic subdivision. This home is perfectly located and will not last long! Schedule your showing today! Directions:From Etown, take bypass to New Glendale Rd. Left on Autumn Way. Left on E Rainbow, Right on Winter Park Pl. Left on Raintree, left on Springhurst Ct. Sign Posted. SchoolsClick map icons below to view information for schools near 33 Springhurst Ct Elizabethtown, KY 42701. House for Sale at 33 Springhurst Ct Elizabethtown, KY 42701. 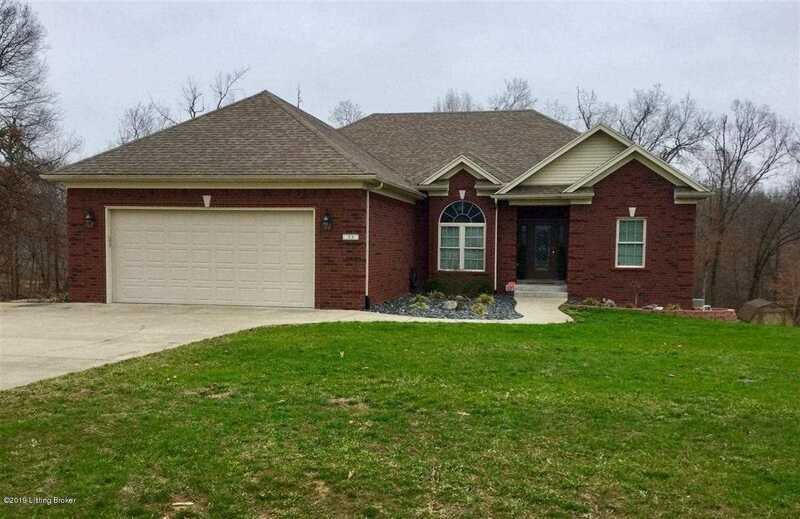 Description: The property located at 33 Springhurst Ct Elizabethtown, KY 42701 with the MLS# 1523014 is currently listed for $345,000 and has been on the Elizabethtown market for 93 days. You are viewing the details of the home for sale at 33 Springhurst Ct Elizabethtown, KY 42701, located in the Four Seasons neighborhood which includes 4 bedrooms, 3 bathrooms, and has approximately 3751 sq.ft. of living area.